Chas Forte (center) was honored by the Huntington Town Board. Mr. 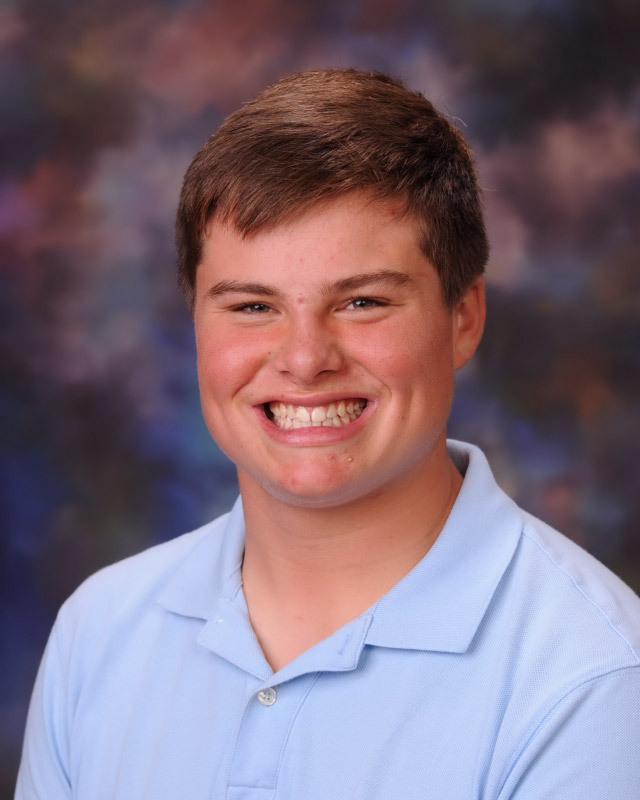 Forte is a happy-go-lucky young man with a smile on his face during nearly every waking moment. But in the late afternoon on Sunday, August 26 the teenager encountered a very serious situation and he rose to the occasion and responded magnificently. Working on a Town of Huntington pump-out boat with his partner, Patrick Brady, Mr. Forte was flagged down by the family of a man who was close to drowning. Messrs. Brady and Forte transferred the victim to their boat and headed toward land with Mr. Forte at the helm. As they sped across the bay, Mr. Forte radioed the Huntington Bay constable to intercept their craft and transport the victim to a waiting ambulance at the town dock in Halesite. Known around Huntington High School and the community as Captain Chas for his love of the water, Mr. Forte plans to play on the Blue Devil varsity football, wrestling and lacrosse teams this year as well as the Northport-Huntington ice hockey team. Mr. Forte is interested in studying business or engineering in college in preparation for a career in real estate development. His favorite Huntington teachers include Suzie Biagi, Paige Tyree Furman and Frederick Bisogno. Mr. Forte was honored at Huntington Town Hall by the Town Board prior to a recent public meeting. 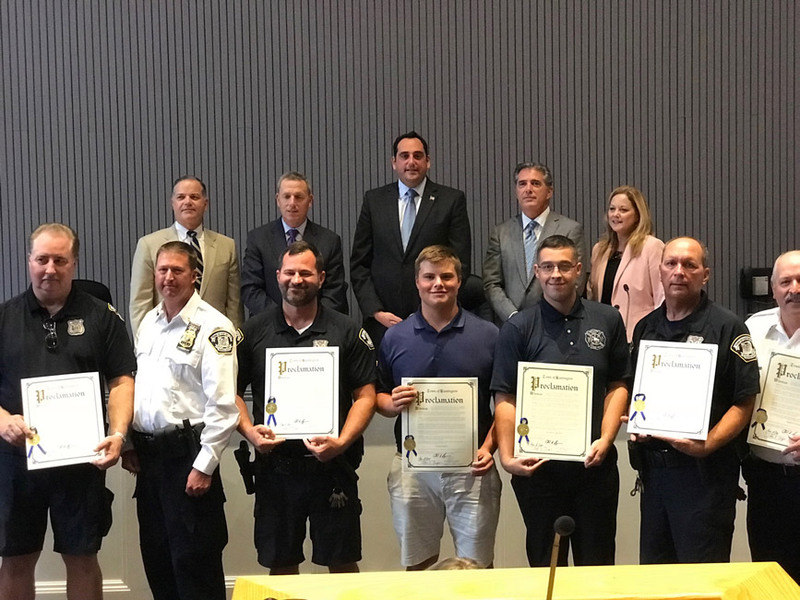 The teenager was presented with a special proclamation commemorating his exceptional service and efforts that helped save someone’s life. Huntington High School junior Chas Forte. 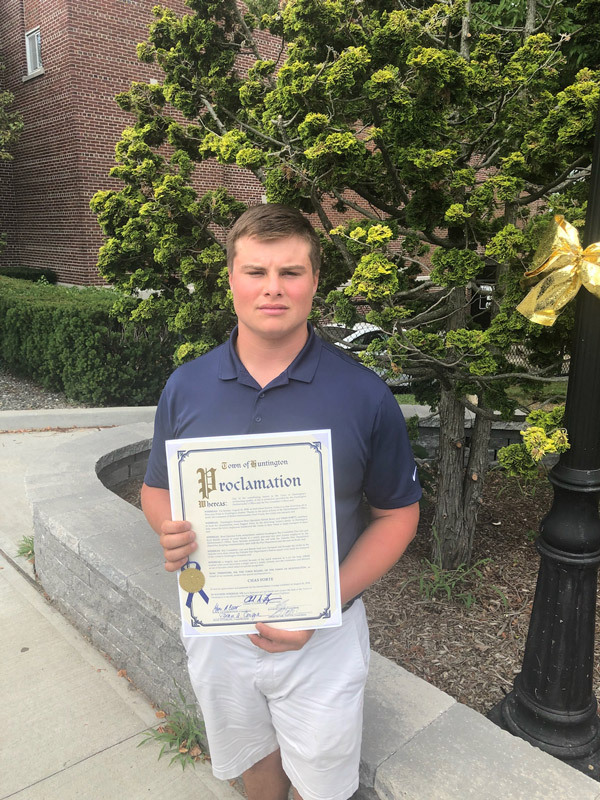 Chas Forte outside Town Hall with a Huntington Town Board proclamation.